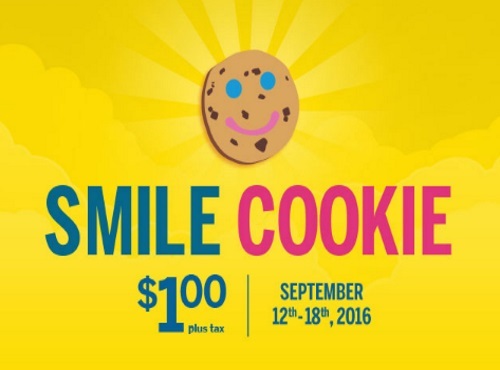 Smile Cookies are back at Tim Hortons! Get one for $1 and the full $1 gets donated to local charities across Canada. Treat yourself and support your community. Offfer is valid September 12-18, 2016.